In September of 2016, Corepower Yoga launched their #WhyIYoga campaign. Their community could upload a photo on the CPY website, and enter up to 20 characters explaining why they yoga. These words appeared as a scripted overlay on top of the image, which increased the share ability of each photo. This is a great example of a brand that elevates their contest above simple testimonials or requests for customers to talk directly about the brand. Instead, it united the CPY community in their love of and appreciation of yoga, and expressing their personal and unique reasons to committing to this practice. The power of tangential campaigns: The most common form of User Generated Content campaigns centers around testimonials: this is why I love this brand, this is me sporting this brand’s products, etc. 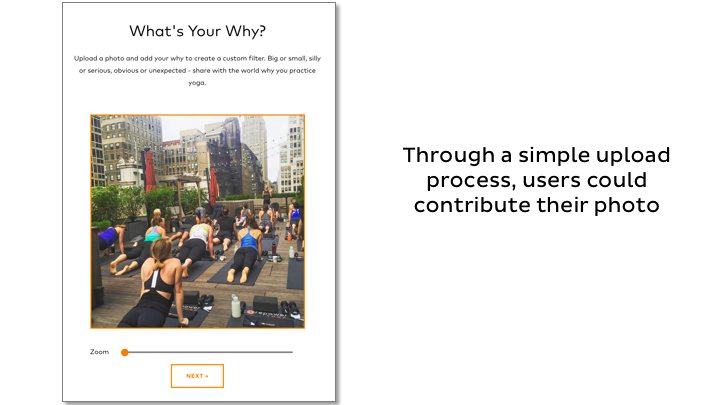 However, Corepower Yoga demonstrates here how effective it can be to raise a campaign above a brand, a product, or a service, and have it be about something bigger. By tying this campaign into individual expressions around a shared experience of yoga, they unlocked their customers creative expression, and united their community around a central cause. How simple technology can make a User Generated Content campaign more fun: in the description below, we show you the user experience as part of this campaign. It is very simple and straightforward. However, the process of adding a branded overlay on top of an image was a brilliant way to get more people to participate and more people to share. While the technology was simple, it was very powerful. First of all, I wanted to share a bit more about the functionality for this campaign, because it is very, very cool. As you can see, Corepower Yoga allowed their customers to expand on what they do within the studio – allow people to write on a post-it note sized piece of paper about the reason why they yoga. 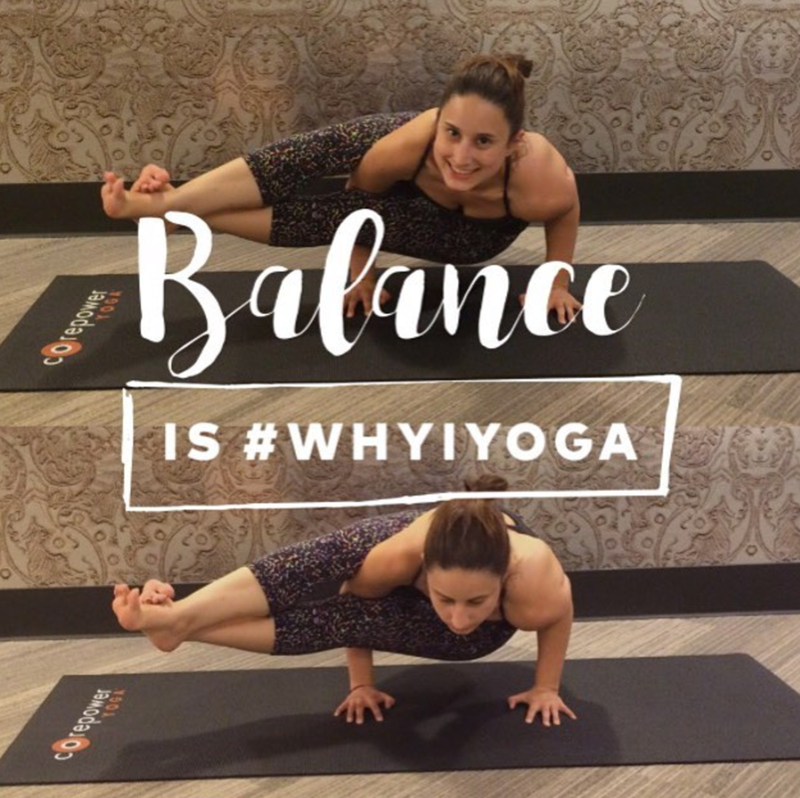 With the #WhyIYoga campaign, CPY took this online, by adding an innovative, Instagram filter-esque feature that allowed their community to easily upload a photo, resize and re-center the photo, and they type in up to 20 characters answering the question: Why I Yoga. Skimming the photos above they’re both inspiring, heartfelt, and – at times – silly. What we love about this campaign is that CPY wasn’t jonesing for compliments; they weren’t looking for customers to talk about why they love Corepower Yoga. Instead, CPY elevated their campaign to allowing their community to express all the reasons why they love yoga and the reason behind their participation. Just like with Instagram filters, this cool overlay increased sharing amongst their community and increased participation. As their community shared these photos on Facebook, Twitter, and Instagram, CPY’s branding went along with it. We are surprised that, as part of the submission process, CPY didn’t request the rights to use the content, or even receive participants email addresses. This is one change we’d make to this campaign, but it might be the only one. It appears that the campaign was mostly promoted within their studios and by a few brand ambassadors who gave away a month of free Corepower Yoga. But that seems to be about it in terms of incentives. That speaks to how much this campaign resonated with their community. We think this campaign is a powerful example of how a simple photo overlay can increase sharing and participation, and also how User Generated Content can be elevated to about a tangential topic, rather than simply a branded testimonial.